The next round of live performances from the mighty NEUROSIS draws near, as the outfit prepares to invade the Northeast for shows in Brooklyn and Philadelphia next week. 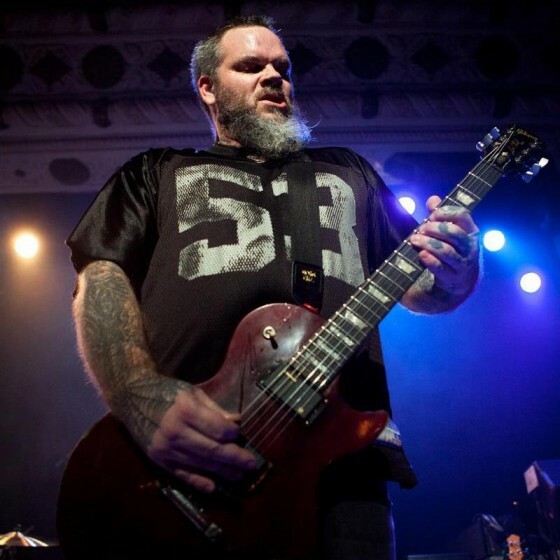 Next Saturday, January 19th NEUROSIS will return to the historic Masonic Temple in Brooklyn, the venue they nearly tore to the ground when they last played in New York with a pair of shows in early 2008 with openers Mastodon. On this trek the opening support for NEUROSIS will be provided by the scathing drum/guitar attack of ex-Khanate/Khlyst duo James Plotkin and Tim Wyskida on their new experimental venture in auditory torture. The following day, Sunday January 20th, the quintet will devastate audiences in Philadelphia’s cavernous Union Transfer venue, marking the first NEUROSISperformance to hit the city since late 2004! Opening support for this special show will come from the solo act of John Baizley of Baroness. This will mark one of the very first performances from Baizley since before the massive bus crash the band has been recovering from slowly since mid-August. Opening support for NEUROSIS’ following live actions next month in Denver and Austin have also been confirmed, with Native Daughters and Jay Munly leading the festivities in Denver on February 16th, and the brutal billing of Eyehategod and Rwake kicking things off at the Austin show on the 17th. The band has also been confirmed for 2013’s installment of the massive Hellfest festival in Clisson, France. The gathering runs from June 21st through 23rd, and will see NEUROSIS sharing the stage with Kiss, ZZ Top, Down, Bad Religion, At The Gates, Kreator and hundreds more. NEUROSIS treated spectators in their native hometown of Oakland to a free, invite-only concert on New Year’s Day, catching many longtime fans by surprise. View new live footage of the performance and more below. 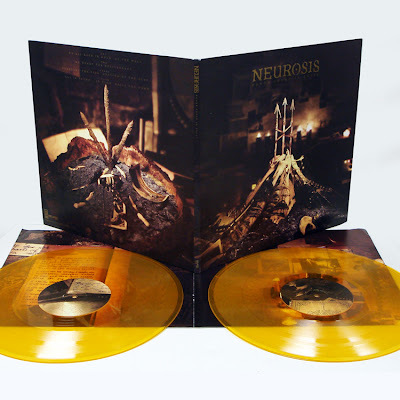 Following the CD and digital releases of the acclaimed Honor Found In Decay in late October, the deluxe 2xLP vinyl edition of NEUROSIS’ tenth studio album will be unleashed February 5th in North America, February 8th in Germany/Benelux/Finland and February 11th in the UK/World, via Relapse Records/Neurot Recordings. Packaged in a Stoughton tip-on gatefold jacket and accompanied by a 16-page LP-sized booklet, the audio was cut directly from the original studio master tapes and pressed on 180-gram vinyl, which will be available in five different colors: 2000 on black, 1000 on translucent smoke grey, 500 on translucent yellow, 500 on translucent orange, and 100 on clear, not available to the public.